Casual games are dime-a-dozen on the Google Play store, but what about war games for us armchair generals? Well, developers have brought the combat zone right to our mobile devices. While these games may not be as good as PC or console games, they offer new gameplay features that will appeal to mobile phone and tablet PC users. 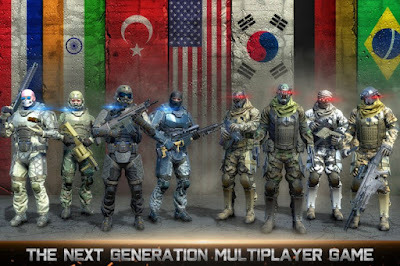 Here’s one of the best war games for the Android and iOS platforms - Country War. Think of the best war strategies in order to conquer countries and to be on the top of the game’s online leaderboard. You can play it even if you’re not connected to the Internet because it supports an offline mode. Download it today for free from Google Play or the App Store and enjoy hours of action fun!